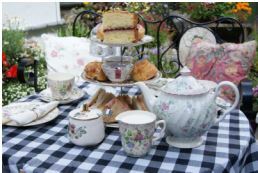 If you are looking to hold a special occasion afternoon tea, or similar, for a family occasion, or large group gathering, we are available for private functions. 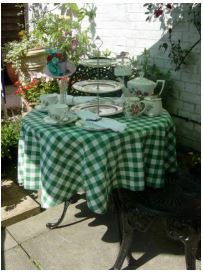 You can enjoy the teashop and garden for your event. 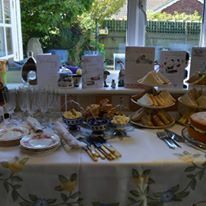 Whether it’s a birthday, anniversary, or any other special occasion, we will be happy to talk to you and help you plan your occasion, meet any specific requirements that you have and take all the strain away from you, to allow you and your guests to enjoy a wonderful old-fashioned afternoon/ evening to remember.